The Muscular Dystrophy Association is by far, and unbiasedly, the worst job I ever had in my entire life. Everything from the interview process to the last day I worked there was absolutely horrific and atrocious. Where do I begin.... When I first moved to Los Angeles I needed a job, and quick, so I decided to take anything I could get. Most likely, I would have taken a job cleaning bird cages, and in hindsight, that would have been more rewarding. When the MDA called me in for an interview I put on a friendly face, turned up the cutesy nonsense, and read the Wikipedia article for the MDA Telethon once or twice to get some good background information. Ready to go. I interviewed not once, not twice, but three times for a maybe...pun intended...to have a chance to work there. The first interview was basic, questions, background, etc. Then they told me they would call me. GREAT!! Already in Los Angeles for one week and perhaps a job! They did call me back, only it was a week later for an interview the following week. OK great, let's do this. That interview was more or less the same. They said they'd make a decision shortly. Good news again. The next telephone call was for a third interview. Now there's an old irish saying: "Go or get off the pot." As much as I "cared" for Jerry's Kids I also cared for my bills and financial obligations, and I felt they needed to make a decision soon. So I went for the third interview, this time more upper/regional management was there. I remember they repeatedly asked me if I had any criminal records. I told them no (to this day I still have a squeaky clean record, knock on wood.) They asked me "Are you sure?" "Umm..yes, I am sure. Please do a background check." "Oh we will. Not even a DUI? Anything?" Are you kidding me? I found out later their past office admin was fired for having a DUI so I suppose this justifies their demeaning interview process. Finally I got a call about a week later offering me the job and was asked if I should accept. I wanted to make a joke and tell them "No, no, all of those grueling trips to the valley to listen to you babble degrading rhetoric at me were for fun!" But of course I didn't do that. I told them I'd be happy to accept and I looked forward to it. I started a week or so later and that's when it all began. I quickly realized this was a terrible, terrible job. The management team were completely inexperienced and displayed an overinflated sense of self-importance and worth whilst treating others like garbage. I was in charge of all the work that no one wanted to do; which is fine with me because I am a hard worker. And I NEVER showed up late nor called out, despite having severe depression issues and stress breakdowns from the abuse there. One of my duties was to train temp employees for phone driving people for their "Lock-Up Programs." I've probably seen one hundred or so of these temps throughout the months because if they didn't make their numbers, they were let go immediately. If they didn't sound "good" on the phone they were let go of immediately. Pretty sad to see all of the time let me tell you. Another one of my duties were to run errands for them wherever they needed. These would include picking up lunch for upper management (almost three times a week) and picking up money from local businesses from their Shamrock program. One time I was "asked" to pick up a check from a grocery store in a very seedy town about fifteen miles away from there. As I wasn't familiar with California at the time I soon realized that locking my doors was a good idea. It was literally down a gravel road in an undeveloped part of town and I had to quickly get out of there as I was getting weird stares from people. Stares that say "What are you doing here?" Upon arriving back at the office I was scolded with "What took you so long?" Really? Lunch time was another favorite of mine. I had to eat lunch with the staff and feign fake smiles as I listed to their stories about how dumb their boyfriends/husbands were and how much they owned them. This was only until I was told to change my lunchtime so they didn't have to eat with me. But don't worry, I was still ordered to pick up their food three times a week from local eateries so they could feed their faces. Months of abuse, etc. started to wear me down internally, but I still showed up for work on time every day and took the abuse. Then came the Telethon. Yep, Labor Day weekend. I thought it would be fun. Boy, was I mistaken! My contributions to the telethon were driving all around God's creation to pick up various items for them. Here's what the items were: 1) Flowers for decoration. I absolutely adored having wet flowers all over my brand new car's interior. 2) Pizzas. OK, pizzas? Cool! For the kids? For the employees? No no no, for the volunteers. OK cool, people need to eat. And where are these pizzas? Yep...27 miles away in Calabasas. They wanted me to pick up pizzas 27 miles away and deliver them to Silverlake. Thankfully I got out of that one. because, hey, you need to retain just a smidgen of self-respect. They also had me doing security and a variety of other things that weekend. Bizarre. One time I was setting a reminder on my phone to pay the rent that month and one of the team leaders saw this. A minute later I was asked to come into the executive director's office and was scolded about texting. Really? You don't want to just ask me when you see me what I am doing? You need to "tattle" and get me in trouble? Another time I was doing errands for them and was late coming back to the office (by 20 minutes) because of traffic. LA certainly has the worst in the country, you know. I was passive-aggressively told "You can stay later today if you want...since you took an extended lunch." An extended lunch? I was driving all over for you! These all seem bad, I'm sure, but to me no job was more degrading than the fabled "Fireman's Vest Project." What they had me do was take 350 reflector vests, hand-fasten one crayon, Tootsie Roll, lollipop, miniature Snickers bar, note, Shamrock and a pin to all of them so they could give to the firemen as a way of saying thanks. It took three days to do this tedious job and all I was thinking in my head was "No self-respecting fireman is going to care about these vests." What a waste of time, money and resources. But I'll leave you with this, this is the kicker. The reason we hired so many temps to raise so much money was because they sent Jerry's Kids to summer camp for a week. When that camp session was cancelled one year we were told to still tell potential donors that the money was for camp. When I said that was a lie, and asked where the money would be going because as a non-profit they need to publicly show earnings, etc. and they can't retain a certain percentage past the fiscal year, I was told to shut up and continue my work. I was fired shortly after that. Nor before nor after have I ever worked for more pathetic, soul-less, egotistical and unflattering people in my life. If this were any other profession or company in the world, that maintained a proper HR department or held business integrity and ethics, there would be lawsuit after lawsuit. Keep finding a poor sucker kid to use for your poster child, MDA. I'm counting down the days when you close your doors once and for all. After 4 blessed, awesome, creative, and productive years we announce that come April 2017 we will mutually dissolve our partnership with Maker Studios. As Disney's online video platform has changed and our business model has evolved, we mutually salute the hats and walk away. Thank you for the chance to produce a pilot, the increased YouTube views, the royalty free resources, and all of the networking opportunities. We love Disney with all of our hearts and cannot wait to work with them in the future. Thank you so much for everything. Cheers! Here is to the next big thing in the world of King Man Productions. Thank YOU for being with us on the ride. It's just getting started. Good evening my fellow comedians. This will be the last time I address you from the Green Room at Flappers. 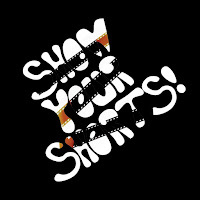 A little over three years ago I was handed the reins of the comedy video sketch show, "Show Your Shortz," by my friend Jacare Calhoun. The show was a vehicle for filmmakers and comedians to showcase their craft and stage presence at Flappers Comedy Club in Burbank. Originally it started on Thursday nights, then moved to Sundays, then moved to the Main Room from the Yoo Hoo Room, then back to the Yoo Hoo Room. My good buddy Dave Swan helped me host the show, and he was always on point and always "on" every single show. He never missed a beat and always delivered his same, remarkable, funny comedy. He is super funny, and I encourage you to check out @Swanagram on Twitter. You'll love him. No matter where you are employed, were employed, what hours you keep or what profession you hold, you will notice a familiar pattern among co-workers. This person, usually a man but not limited to, is usually chipper at all times of the day and can be found at the water cooler or the kitchen area. He/she will constantly ask if you if you've seen the "big game" last night regardless if you watch sports or not. He knows every statistic, player and schedule of every team in every city and can single-handily explain down to the last detail why his team won/lost over the weekend. You begin to wonder if he’s even a person or perhaps regurgitated rhetoric of mascots past.